That step? You guessed it: watermark your photos. Watermarking photos in the real estate business can get tricky, depending on where you live, what your purpose is for watermarking the photos, and the terms of services you agreed on for the photos. That’s where Watermark.ws comes in. We’ll show you all the reasons why both realtors and photographers should watermark their photos, all while drawing attention to the nuances that we know unfortunately complicate the process. Let us uncomplicate watermarking for you. If you’ve ever looked at housing listings, you can probably tell these photos are clearly not taken by just any average person with a smartphone. These are professionally shot images. As a real estate photographer, chances are you’ve had at least one instance of discovering your images used in a way you did not authorize. How does this happen? It starts off rather innocently: your photos are listed by the realtor you’ve decided to work with, the realtor wants to market the photos on different platforms to help sell the home, the photos are exposed to a wide audience, and suddenly, the photos start circulating. Because once the realtor makes the decision to expose the listing to a wider audience, your photos become “fair game” to the public. Images get shared through social media websites, posted on various housing services, and could even end up in mainstream media. All of this coverage and no compensation? How fair is that? As a real estate photographer, what step do you need to take to prevent this? It’s a simple and quick step you can implement today to give you an extra, added layer of security for protecting your work. Often, the realtor you’re working with uses your photos for the MLS (multiple listing service). A MLS is used by realtors to discover all of the real estate listed for sale in the area. MLS rules vary from country to country and state to state. In some states, a photo can not be submitted to the MLS with a watermark. Be aware of the terms of service you’re entering into with your client. In some instances, realtors will have you sign a contract surrendering all your rights to the photos. 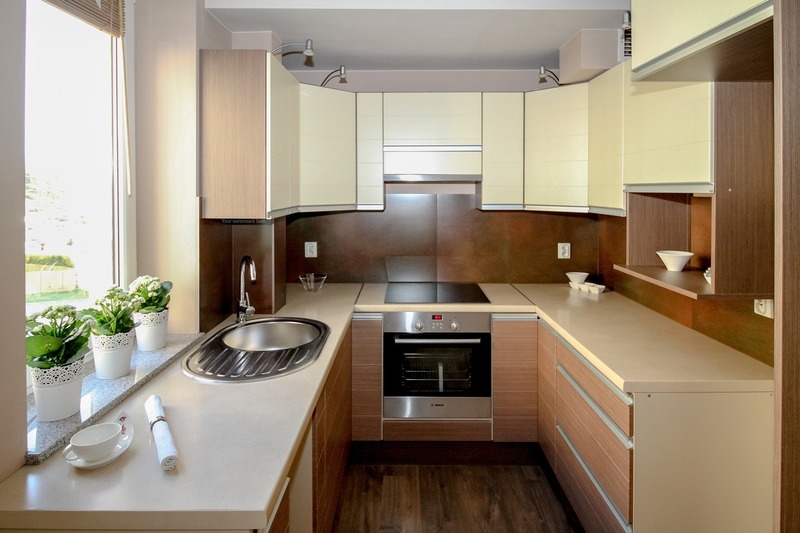 The National Association of Realtors provides these sample templates for those realtors and photographers entering into a contract. We may not have the solution to keep all of your rights to your photos, but what we can do for you is help you be proactive in protecting your work, because unfortunately, once you submit your work to your realtor, there’s undeniably a chance those images get distributed in a way you never authorized. What watermarking does is ensure that if your photos do happen to start showing up through various avenues, each time this occurs, the image is at least branded with your business and you can hopefully start gathering some additional clients this way. We recommend including your website or full name in the watermark to ensure that if the photos are discovered by someone who is interested in your real estate photography services, they have a way of contacting you. Your photos are great; they’re getting shared. You deserve to start profiting off your hard work. When it comes to realtors watermarking their photos, the issues are similar to those of photographers: Who owns the rights to the photos? Can you submit watermarked photos to the MLS? The first issue to tackle is ensure you have the legal right to watermark the photos. Does the image belong to you or to the photographer? If no contract was put in place surrendering the photos to you, think of it this way: if a photographer sold an artistic photograph to you that you’ve hung in your home, and you discovered five of your friends loved the piece as well, you would likely realize it’s unethical to reprint the image and distribute it amongst your friends. If your friends truly loved the piece, they should be compensating the artist who shot the photo. It would be unfair for the buyer to distribute the work of the artist without compensating him/her. Unfortunately, when it comes to real estate photographers, their work is not appreciated at this level; however, each time their photos are shared beyond the scope of what the photos were intended for, the real estate photographer is being cheated out of compensation. You’re also likely putting yourself in the position of copyright infringement. Protect yourself, and before even considering watermarking your photos, ensure you have the legal right to do so. You can set up terms of service with your photographer, where they will surrender the rights of the photos to you. Again, here are the templates you can use for setting up a contract. Ok, so now that you have the legal right to do so, it is paramount you start watermarking. As mentioned earlier, depending on the rules of your local MLS, you may not be able to submit your photos watermarked. However, we still recommend watermarking at least a copy of the photo. Why? Because likely, if you’re really motivated to sell the home, you’re sharing the images on more platforms than just the MLS. If your image does happen to get shared, you want potential home-buyers to come to you to discuss the home. You may want your watermark to be really subtle. Can’t see the watermark in this photo? Click on the photo to zoom in and take a peek above the faucet. Also, as a realtor, depending on whether you have an exclusive or nonexclusive agreement with your client, your client could be fair game to other realtors. 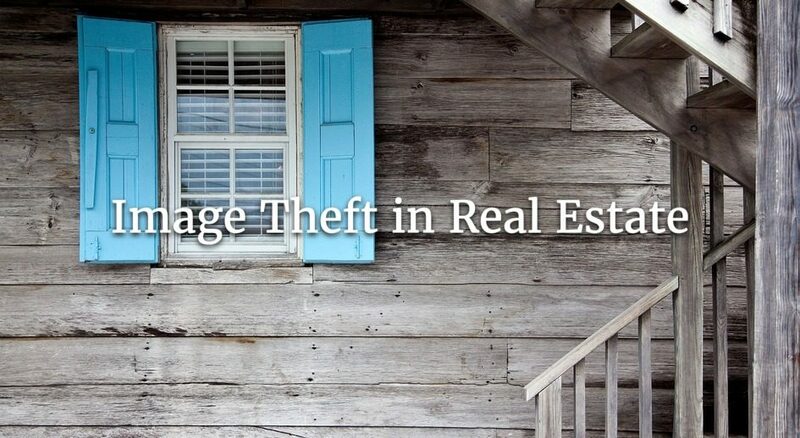 Put simply, other realtors could try to steal your clients. Since this does happen, you don’t want other realtors using the photos you paid for to help them sell the listing. Think of those photos as a tool you invested in to help make a sale. It’s unfair for another realtor to come along and receive free marketing materials, potentially profiting off your investment. By adding your watermark to the listing photos, you’ll likely deter other realtors from using your photos since it will be fairly obvious they stole the listing from you. Not to mention, using your images opens that realtor up to some legal issues since they have no rights to use the photos. When it comes to watermarking photos for the real estate industry, there’s undeniably tension over who owns the rights to the images. Is it the photographer? The agent? The MLS? For the most part, the answer to this question is completely dependent on the laws of where you reside and the terms of service agreed upon between parties. We recommend doing your due diligence when it comes to copyright law. It is not our intention to provide legal advice, but rather to inform you on how a watermark can work as an added layer of protection for those in the real estate business. We give you total control over your watermark: placement, style, opacity, batch processing. We’ve got you completely covered with the easiest and fastest way to watermark your real estate photos. Get started with Watermark.ws today and let us show you how easy it is to start protecting your real estate photography.